You will find below the horoscope of Michaela McManus with her interactive chart, an excerpt of her astrological portrait and her planetary dominants. Horoscopes having the same aspect Saturn square Ascendant (orb 0°04'): Hillary Clinton, Nicki Minaj, Al Pacino, Aishwarya Rai, Johnny Hallyday, Nolwenn Leroy, Gordon Ramsay, Miranda Kerr, Jeffrey Dahmer, Frédéric Chopin, Shania Twain, Courteney Cox... Find all the celebrities having this aspect. Horoscopes having the same aspect Sun trine Ascendant (orb 0°34'): Jennifer Aniston, Ryan Gosling, Ashton Kutcher, Robert Downey Jr., Naomi Campbell, Mike Tyson, Michael Fassbender, Vanessa Hudgens, Eva Longoria, Jennifer Love Hewitt, Priyanka Chopra, Steven Seagal... Find all the celebrities having this aspect. Celebrities clicked on in real-time: 576,419,159 times. Michaela McManus (born May 20, 1983) is an American actress, best known for her portrayals of Lindsey Strauss on the television series One Tree Hill and A.D.A. Kim Greylek on Law & Order: Special Victims Unit. Biography McManus, a Warwick, Kent County, Rhode Island native, daughter of James "Jim" and Patricia McManus of Warwick, Kent County, Rhode Island, and niece of Sister Mary McManus, a nun, graduated from Fordham University, attended NYU's graduate acting program before leaving to pursue her career in Los Angeles. In 2008, she joined the cast of One Tree Hill during its fifth season, playing Lucas Scott's (Chad Michael Murray) love interest, Lindsey Strauss. Here are some character traits from Michaela McManus's birth chart. This description is far from being comprehensive but it can shed light on his/her personality, which is still interesting for professional astrologers or astrology lovers. 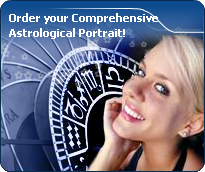 In a matter of minutes, you can get at your email address your astrological portrait (approximately 32 pages), a much more comprehensive report than this portrait of Michaela McManus. Michaela McManus, the nocturnal North-western quadrant, consisting of the 4th, 5th and 6th houses, prevails in your chart: this sector favours creativity, conception and some sort of specialization or training, with helpfulness and relations as strong components. You need others' cooperation in order to work properly, although you are not very expansive: creating, innovating and thinking are what matter most to you because this self-expression enriches you and totally satisfies you. Like the majority of Earth signs, Michaela McManus, you are efficient, concrete and not too emotional. What matters to you is what you see: you judge the tree by its fruits. Your ideas keep changing, words disappear, but actions and their consequences are visible and remain. Express your sensitivity, even if it means revealing your vulnerability. Emotions, energy and communication must not be neglected; concrete action is meaningless if it is not justified by your heart, your intellect or your enthusiasm. Cheers for communication and mobility, Michaela McManus! The predominance of Air signs in your chart favours and amplifies your taste for relations and for all kinds of short trips, whether real (travels) or symbolic (new ideas, mind speculations). You gain in flexibility and adaptability what you lose in self-assertion or in pragmatism. Michaela McManus, the Cardinal mode is dominant here and indicates a predisposition to action, and more exactly, to impulsion and to undertake: you are very keen to implement the plans you have in mind, to get things going and to create them. This is the most important aspect that inspires enthusiasm and adrenalin in you, without which you can grow weary rapidly. You are individualistic (maybe too much?) and assertive. You let others strengthen and improve the constructions which you built with fervour. Your angular houses, namely, the 1st, 4th, 7th and 10th houses, are very emphasized in your chart, Michaela McManus: according to the Tradition, they are the strongest and most dynamic houses. Should the rest of your chart concur, angular houses suggest that you are an enterprising, energetic and assertive woman. Indeed, angular houses are said to generate impulsions and to give a powerful and domineering personality. After this paragraph about dominant planets, of Michaela McManus, here are the character traits that you must read more carefully than the previous texts since they are very specific: the texts about dominant planets only give background information about the personality and remain quite general: they emphasize or, on the contrary, mitigate different particularities or facets of a personality. A human being is a complex whole and only bodies of texts can attempt to successfully figure out all the finer points. Your mind is calm and balanced; even though you assimilate slowly, your memory is remarkable. Your judgment is based on reflection and reason and draws on past experiences. Michaela McManus, you are a good adviser, a reliable person whom people can confide in discreetly. You are full of good sense, cautious, methodical and disciplined and you are able to carry many good projects to a successful conclusion. You are very opinionated and determined in your actions. However, your tendency for intolerance and prejudices may offend your entourage. They wish that you exercised more flexibility instead of systematically refusing what cannot be immediately checked. You usually express yourself with a lot of charm and this is what allows you to get people to better accept your well-established habits. You are sensitive, vulnerable and tender at the same time, Michaela McManus. When you love, you give your entire affection and your partner may in all confidence rely on a long-lasting and reassuring relationship. You are so calm and so tender that you think that it is enough to win over your partner's heart, and you are often right. However, do not mix up giving and receiving. You so deeply need to receive love in return that you may be too passive and in the long run, as you become demanding, you may show immaturity. Security and sustainability in your relationship are of utmost importance. Your family also is important, it is the refuge, even the sanctuary, where you like you hide when things go awry. You also dream of love, may be too much, and it may be detrimental to what might be concretely experienced if you were more dynamic or less fearful to get hurt. However, remember that you receive only as much as you give. The ruler of the Ascendant, Michaela McManus, is Saturn. It is posited in the sign of Libra and endows you with diplomacy and a deep sense of justice. Amiable, courteous, and moderate, nothing pleases you more than being able to help opposing parties reconcile, which encourages you to develop your power of seduction, or to flee with swiftness when you deem that the cause you stand up for is a lost cause. Unless salient factors indicate otherwise, Michaela McManus, your nature is not very extroverted and your tendency is to keep to yourself emotions that may run very deep. Your will prompts you to create some sort of security, or cocoon, around you. Michaela McManus, your mental activity is exuberant. Ideas are buzzing at high speed and you have the ability to think of several different things and to simultaneously process them. You are less interested in actions on the concrete or physical plane, because once you “see” a solution, its implementation is not that important any more since the crucial thing is that your mind remains bubbling with excitement. You are cerebral and curious and your sexuality is filled with fantasies, where pleasant ideas are mixed up with amplifying and enriching desires. Therefore, you are not simple but if your partner follows you, the stake is really worth it. Verbal jousting, the pleasure to debate and to discuss are continuous, with you. The only danger is to irritate people who may not have your swiftness or your sense of humour. This text is only an excerpt from of Michaela McManus's portrait. We hope that it will arouse your curiosity, and that it will prompt you to deepen your knowledge of astrology, as well as to visit and use the wide range of free applications at www.astrotheme.com. Your Life Path is influenced by the number 1, Michaela, which often prompts you to have an active and sometimes original life. 1 is the number of creativity and indicates individual destinies which are achieved at the cost of personal efforts because, although the path may lead very far, it climbs steeply upwards. You need to learn to manage your life with a strong willpower while using your own resources. It is most likely that you reach the best of your possibilities if you choose a free-lance occupation, or anything which allows a lot of personal initiatives. You really need freedom of action. You prefer to innovate rather than to follow the trend, and to create rather than limiting your activities to repetitive tasks. Thus, your life may be theatre of spectacular twists and turns, all the more so because the more you progress, the more your indecisiveness fades away. In such conditions, it is necessary that you strive to maintain a minimal degree of stability in the course of your life.